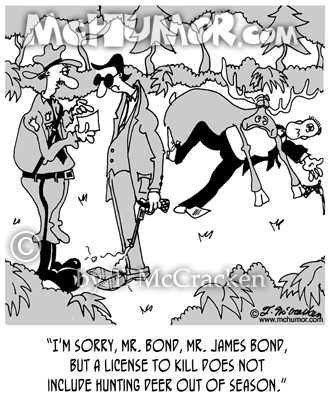 Hunting Cartoon 5273: A game warden saying to James Bond who's shot a man and a deer, "I'm sorry, Mr. 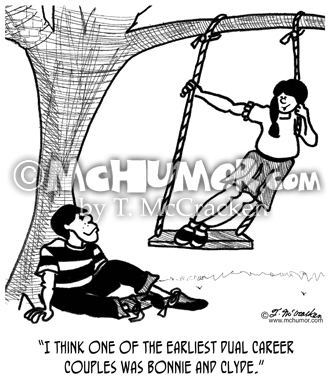 Bond, Mr. James Bond, but a license to kill does not include hunting deer out of season." 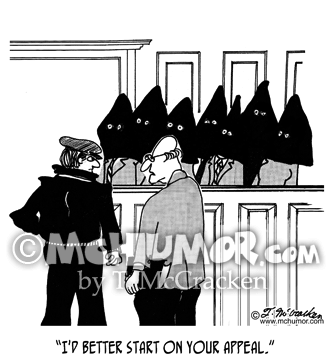 Jury Cartoon 2645: A lawyer saying to his client standing before a jury where they're all wearing executioner hoods, "I'd better start on your appeal." 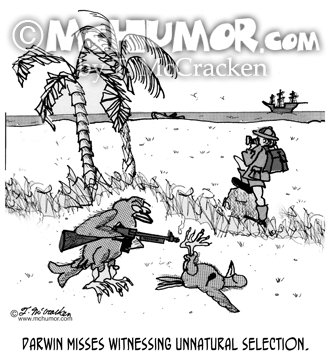 Evolution Cartoon 1828: "Darwin misses witnessing unnatural selection." 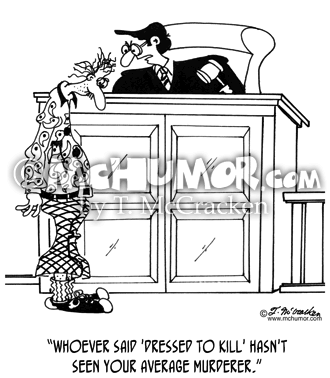 As Darwin looks out to sea, a bird with a gun shoots another bird. 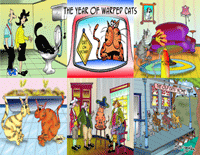 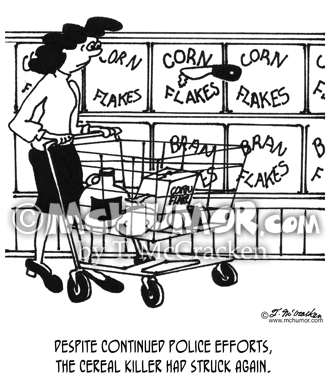 Cereal Cartoon 3815: "Despite continued police efforts, the cereal killer had struck again." 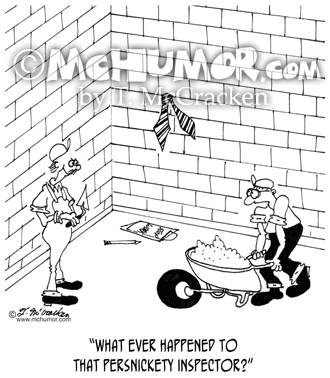 In a supermarket a woman passes a cereal box with a knife stuck in it. 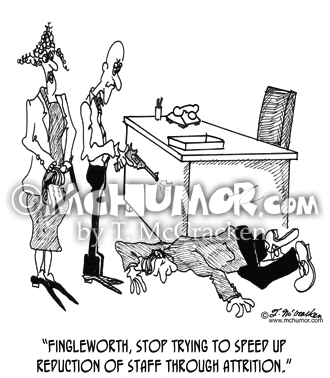 Store Cartoon 4915: A little old lady being arrested in a supermarket. 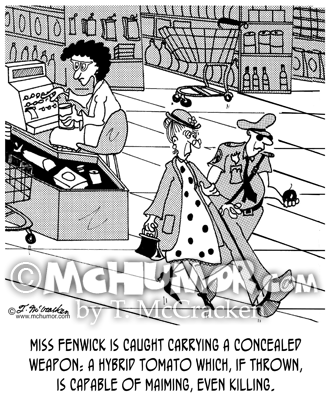 "Miss Fenwick is caught carrying a concealed weapon: a hybrid tomato which, if thrown, is capable of maiming, even killing." 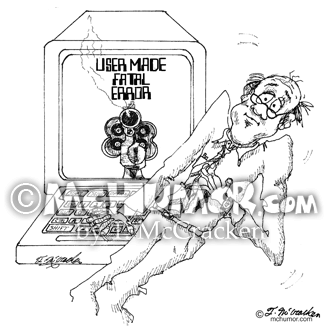 Computer Cartoon 1185: A computer shoots a fellow and says, "User Made Fatal Error."